← Bike Rodeo in Nymore: A fun event for all. What gorgeous weather the past two days. It’s great fun seeing everyone outside and enjoying the sun. Lots of bike opportunities coming up. There are still some openings in the Traffic 101 class this weekend and Sunday the 15th will be a great time for families at the Parks and Rec center. Check out the home page for details. The paving project near the Sanford Center is underway and the only bummer is the last mile of the southern most part of the trail will be closed for a few week. It will reopen at the end of the month and we will have a new route option for Lake Bemidji circumnavigation. The neighborhood at Peoples is full of kids on bikes. 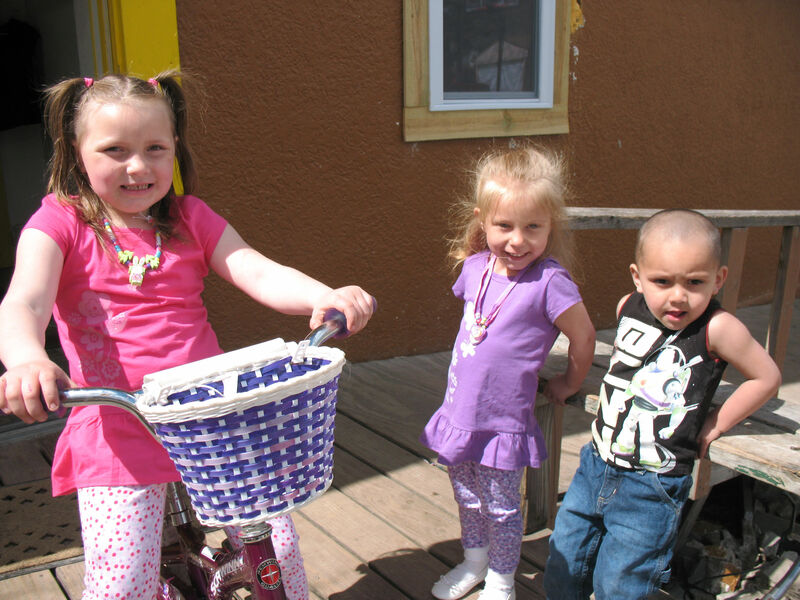 Here’s another picture of kids enjoying the bikes donated by people of our community! Kids at Peoples enjoying bikes!! So, wear a helmet, ride on the right, and get out on the roads and trails! See you there.